The EU is looking at whether to pass regulations compelling Apple and other phone manufacturers to use standard phone chargers instead of proprietary ports, saying that this is an environmental problem as much as a customer fairness issue. Such a stance is not new for the European Union. In 2009, the EU issued a memorandum pushing manufacturers to commit to using the same charging ports. This was supposed to come into effect by 2011, but because the agreement was voluntary, some companies complied while others, like Apple, decided to continue using their own ports but created special adapters. Some also issued letters saying they intended to comply and asking for an extension, which was duly granted. Now, the EU Commission has said it is revisiting this issue with a mind to potentially create a new law requiring companies to make good on that promise and not just pay lip-service. “Given the unsatisfactory progress with this voluntary approach, the Commission will shortly launch an impact assessment study to evaluate costs and benefits of different other options,” Margrethe Vestager, overseer of competition regulations, told Reuters. A universal standard charger would definitely save on the significant headache for consumers having to check comparability when they buy a new cable, and it would also potentially allow consumers to get better value by ensuring that companies like Apple cannot charge a premium for their cables because of a lack of competition. There is another overriding reason why standardized phone chargers would benefit us, though. On the EU’s campaign page where it details the previous memorandum and action points regarding phone chargers, it notes that alongside the 500 million mobile phones that were in use across the EU in 2009, there were in excess of 30 different types of chargers. This list was growing as phone manufacturers issue new chargers with every generation of their phones. This has led to a massive 51,000 tons of electronic waste per year in the EU thanks to mobile phone chargers alone. Reducing that waste could mean a reduction in up to 13 million tons of greenhouse gas emission, according to TechSpot. Indeed, by buying a charger once, consumers would then be able to use that same charger for the full life of not just one but several handsets. Hold on, we might say. Phone chargers are notoriously flimsy. This is true, and that’s where manufacturers could instead focus their energy. Rather than bilking consumers for more money via proprietary cables, and backing that with warnings that using unofficial cables may void warranties, they could invest in making phone chargers themselves more robust, guaranteeing longer life for the product. The problem here, of course, is that a longer life product is actually bad for profit margins because it means consumers will not be buying as many phone chargers. For many companies that might not be an issue. Most have adopted the Type-C USB cable and others would not much care if that became a regulation as the shift would be easy to fulfill. Type-C USB cables are also fast becoming the method of choice for laptop charging, so the shift to this type of cable as a standard seems natural. However, Apple continues to use its “Lightning” line of charging peripherals and collects significant royalties by using non-standard tech. As Forbes notes, it may be that technology actually solves this for us without the need for regulation. 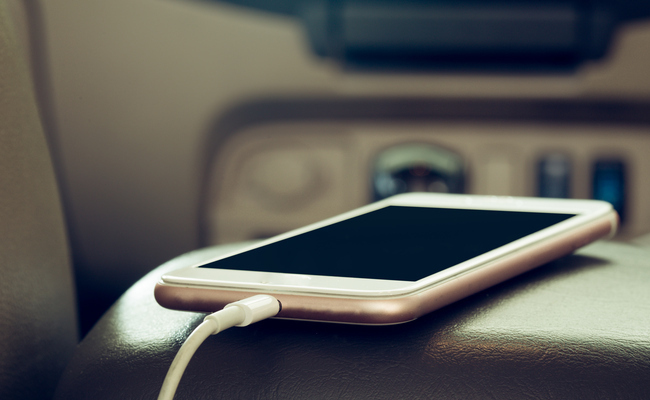 Inductive charging where phones are a sealed unit and can be placed on a charging pad is rapidly gaining ground, and that would remove the need for standardized charging parts. Of course, the same problem could repeat itself with the wireless chargers, where manufacturers begin creating their own versions that effectively “lock” consumers into buying their products and not being able to use a standard model. For that reason, the EU’s interest in standardization makes sense not just from a price competition standpoint, but from an electronic waste reduction drive, too. If companies truly want to avoid extra regulation, they should spend energy on coming up with standardized, affordable peripherals and charging stations and instead look to innovating their products in terms of environmental and human rights improvements, because that is where we truly need their attention. Bravo EU. Go after them. COULD, BUT WON'T. Too much money involved ... as well as required constant oversight.